The new GU10 5W has evolved from years of research and development. As part of a new collection of spotlights, each lamp gives you accurate halogen replacements. You’re customers will notice a significant reduction in energy use on their bills, making instant savings as soon as you switch to LED. Create the ideal ambience and pick from Cool White, Warm White or Daylight, all of which come with dimmable options too. Dimmable versions of this bulb are 5.7W. For full technical information about the 5W GU10, please download the technical datasheet. 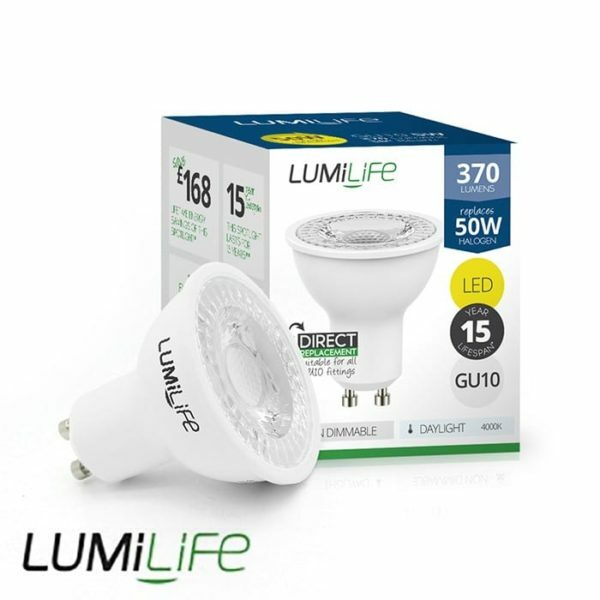 LUMiLife has sold over 4 million LED bulbs since its formation in 2011, with over 2 million lamps over the past 12 months alone, resulting in customer energy cost savings in excess of £10 million and a reduction of approximately 27,000 tonnes of carbon emissions.